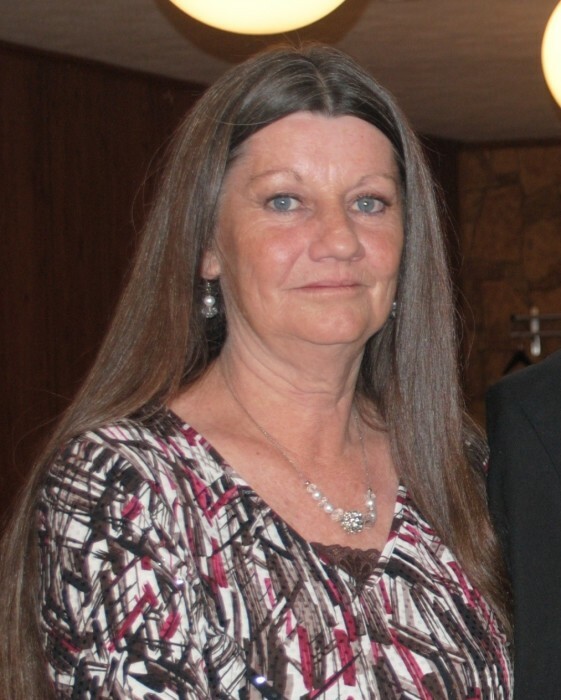 Donna Jan Tyree, age 61, of Corbin, Kentucky departed this life on Thursday, March 28, 2019 at Baptist Hospital in Lexington, Kentucky. She was the daughter of Rhuble and Abbie (McVey) Mills in Corbin, Kentucky. Donna loved cooking, family gatherings and genealogy. She was preceded in death by her loving husband Robert Donald Tyree, parents Rhuble and Abbie (McVey) Mills, brother Rhuble D. Mills, and brothers-in-law Mike Watkins and Jack Jarman. Left behind to mourn her passing are sons Ralph Mills and wife Alysia of Corbin, Kentucky, Jesse Tyree and wife Rachel of Corbin, Kentucky, daughter Amy Woods and husband Lance of East Bernstadt, Kentucky, grandchildren Dawson Tyree and Colt Woods, brothers Hubert Mills and Jimmy Mills, sisters Betty Gambrel and husband Garrett, Tina Watkins and Tammy Mills, sister-in-law Karen Mills and in-laws Eugene and Imogene Tyree, Willard and Crystal Tyree, and Jay Danny and Tammy Tyree. She is also survived by many relatives and friends to mourn her passing. Funeral services for Donna Jan Tyree will be held on Tuesday, April 2, 2019 at 1:00 p.m. in the Cobb-Hampton Funeral Home Chapel, with Reverend Brad Parrett officiating. Burial will follow in Cox Cemetery at Gray, Kentucky. Cobb-Hampton Funeral Home is in charge of all arrangements. Friends will be received at the funeral home on Monday, April 1, 2019 from 6:00 p.m. – 9:00 p.m. and Tuesday, April 2, 2019 from11:00 a.m. – 1:00 p.m.
To the Tyree family, the staff of Cobb-Hampton Funeral Home would like to express our heartfelt sympathy during your time of bereavement.